Have you ever say “I love you” to your dad? How often is it? Have you ever thought about your father’s safety? Seem like stupid questions? No. Many of us seldom express love to Dad and pay little attention to father’s safety and security. If you are searching best gifts for Father’s Day 2016, or Father’s Day gift ideas, stop for a few seconds and consider: why not buy your dad safety this Father’s Day? Why not give your father a really special gift on 2016 Father’s Day? Wait…why should you buy safety for your father this Father’s Day? Admit it! Security is severe to everyone. According to reports, attack occurs every 13 seconds in the U.S. I am not making it serious but most of us are still shocked and distressed by the Orlando shooting. Attack, burglary or theft could happen to any place, especially your parents’ home which is an easy target for crimes if not protected well. Therefore, give your dad safety on Father’s Day and that safety should be for your father or your parents for anytime available (also see Top 8 Home Safety Tips for Elderly Parents). Protect them from any attack with a reliable security product, and that is the really special gift, one that is really helpful all the time to your parents. There are many security products you can choose from for Father’s Day safety. All are significant to the security of your father or your father’s home. Take the Father’s Day gift guide. A home security camera system is definitely a perfect Father’s Day gift. It is a system that uses security cameras to monitor inside and outside the house for 24/7. It can offer live footage and do around-the-clock recording with an NVR. You and your father can have live views of the house anytime and anywhere. If there is an invasion around the house, it will trigger the system to send alarms. Thus you can prevent the would-be attack into the house and get peace of mind. 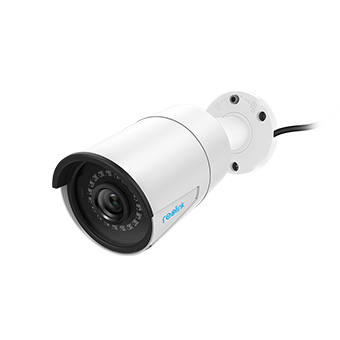 Choose a reliable security camera system in the security camera store as a special Father’s Day gift. Definitely, your father will love it. You can get Father’s Day coupons. Statistics show that a home with a security system is up to 300% less likely to be broken into. Most criminals will bypass a home that’s well protected by security cameras, because they don’t want to be caught “in the act”. Smoke detectors and fire alarms are also nice presents for Father’s Day. 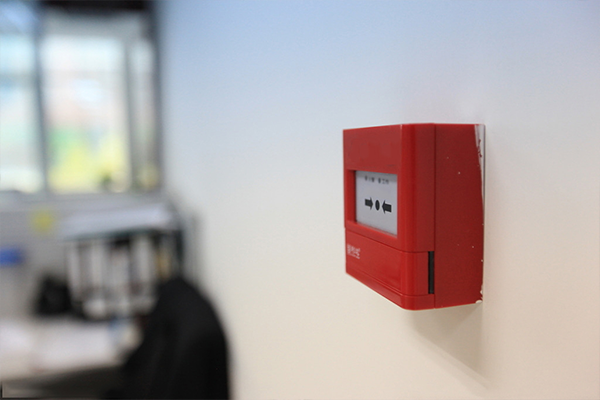 They can provide valuable protection and let all know if there is a fire. According to the FBI, in U.S. elder parents have a fire death twice and even 3 times the national average. Do remember to choose an easy-to-use fire alarm or smoke detector. Make sure those equipments’ battery replacement is simple enough for your father or for your parents. It happens that your elderly dad forgets things (sometimes and even always), which would cause discomfort in life. 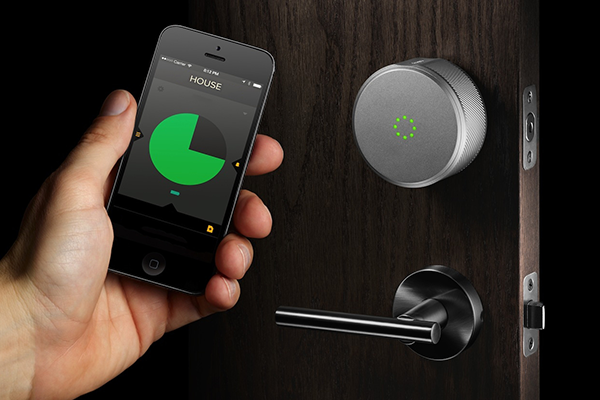 A smart home system can remedy all the discomfort. The smart home technology concerns home automation and makes homework “automate”. It involves the control and automation of lighting, heating, ventilation, air conditioning, appliances, and security. There are many other gifts you can consider for your dad, but please nail down what you should not buy for your dad this Father’s Day. Below are the bad gifts and ideas. According to the 2016 Father’s Day survey, about 92% of dads hate a gym membership. May be you think your dad needs a better shape, but don’t tell him in this way on this special day, at least no on Father’s Day. Do you send a gift card to your father every Father’s Day? Hum, do remember to change that this year! A generic gift card is out of date, and many gift cards come with hefty activation fees, which may cause a awkward situation. Meanwhile, a gift card suggests that you couldn’t think of anything your dad would really want. Buying undies for your dad is like buying your mom a bra. It’s personal, and not in quite the right way. Leave the chance to your mom to get that underwear for your dad. You are not the one to do that for your dad. A necktie is considered one of the most timeworn and unimaginative gifts of all for Father’s Day. It seems unoriginal, unless the necktie you select is superior in style. If you search your dad’s cabinet you will find it jam-packed with coffee cups. You never want to add one more to that cabinet, right? You don’t want the gift you give to your father to be in the never-get-used list. A quarter of us are too embarrassed to tell our father how we feel. Less than a third will give our father a hug or kiss when we greet him. Nearly two-thirds of adults still borrow money from our father. Nearly half say watching TV together is how we catch up. It’s a big day to express love to your father on this Father’s Day! Buy him safety and tell how much you love him. And, don’t forget your grandpa. He is also a great father! This entry was posted in Expert Safety Tips and tagged father's day gift, holiday.